After getting tired of running down to the basement everytime needing to change band on the amplifier or if one drives it a bit too hard so it trips I decided to finish up this box. 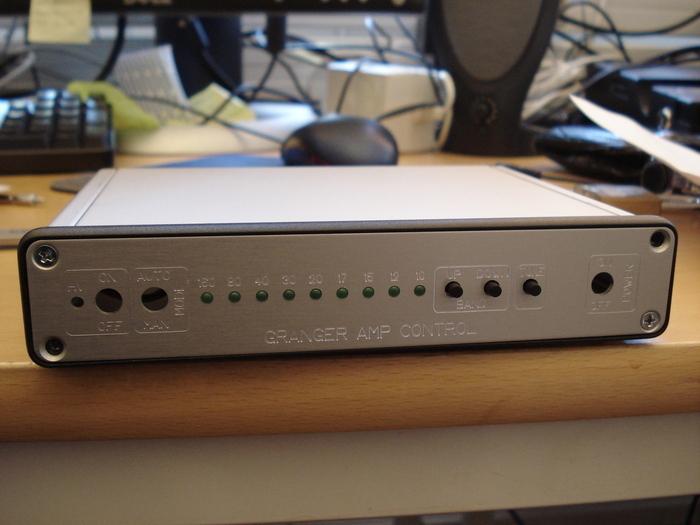 It is basically a box which is connected in paralell to the amplifiers control panel and enables us to control the important functions on the amp, such as band change, HV ON/OFF, amplifier ON/OFF etc. The box can also be automatically controlled via BCD signals or via USB which enables the possibility to control the amplifier remote. I still need to finish the back panel on the box but I will do that this week and finish the software, but it looks really promising. Last time at the station I managed to shove the blade from a saw into the foot. I had removed it from the top of a desk since I needed a thing lying under it, put the saw down on the floor and forgot to put it back. So at about 00:30 when I had gone and taken a plate of sour milk I shoved my foot into something. I cursed a few times since I spilled the sour milk and looked down, there I saw blood pulsating out of my foot so I tore off the socks and saw a hole into the foot with blood gushing out of it. Apperently I shoved it right into an artery… So I use duct tape and paper to stop the blood flow (yes, I will buy an emergency kit) and called to ask what to do and they stated that since I could move my toes and also that the blood flow was stopped I could go to bed and see if there was any complications in the morning. 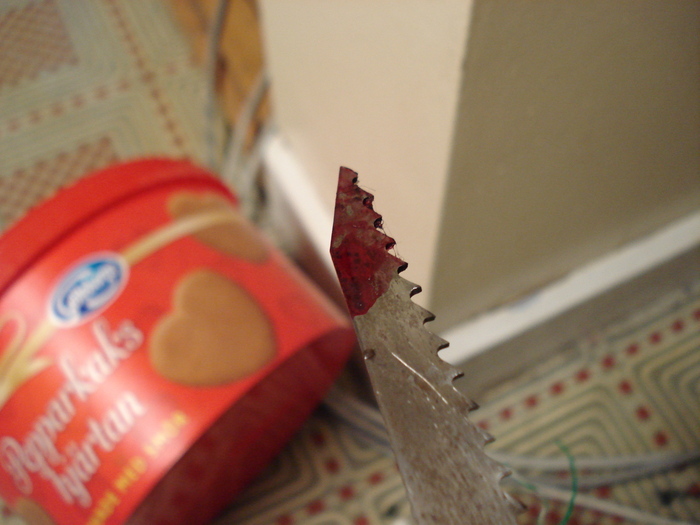 However it worked out OK without complications, the foot is good now but I’ll remember to put the saw back next time.